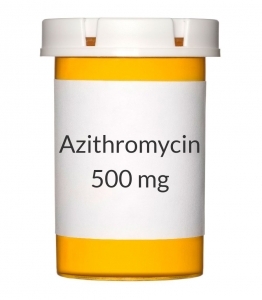 USES: Azithromycin is used to treat a wide variety of bacterial infections. It is a macrolide-type antibiotic. It works by stopping the growth of bacteria. This medication will not work for viral infections (such as common cold, flu). Unnecessary use or misuse of any antibiotic can lead to its decreased effectiveness. HOW TO USE: Read the Patient Information Leaflet if available from your pharmacist before you start taking azithromycin and each time you get a refill. If you have any questions, ask your doctor or pharmacist. Take this medication by mouth as directed by your doctor, usually once daily with or without food. You may take this medication with food if stomach upset occurs. The dosage is based on your medical condition and response to treatment. Antibiotics work best when the amount of medicine in your body is kept at a constant level. Therefore, take this drug at the same time each day. Continue to take this medication until the full prescribed amount is finished, even if symptoms disappear after a few days. Stopping the medication too early may allow bacteria to continue to grow, which may result in a return of the infection. Antacids containing aluminum or magnesium may decrease the absorption of azithromycin if taken at the same time. If you take an antacid that contains aluminum or magnesium, wait at least 2 hours before or after taking azithromycin. Tell your doctor if your condition persists or worsens.